I wanted to pass along another one of my project bikes. 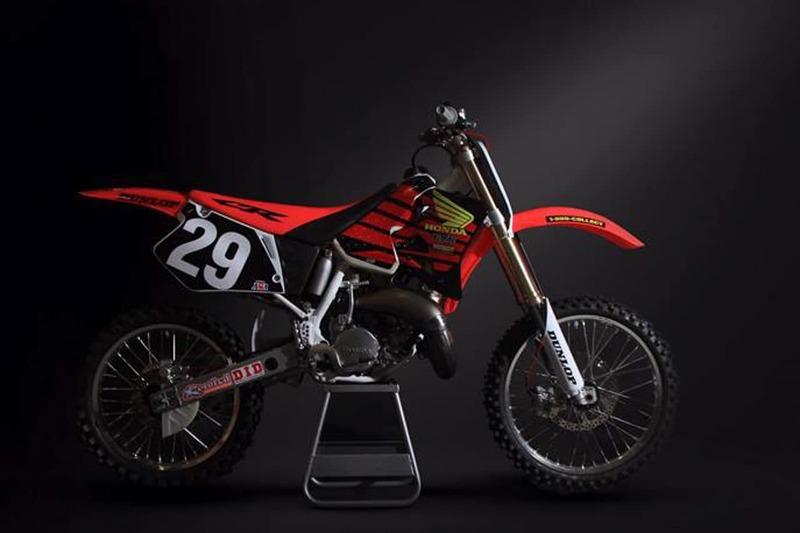 (he also has a 1994 RM250 and a 1992 Bradshaw replica YZ250) This one is a 1997 Honda CR125 modeled after Scott Sheak’s factory Honda. 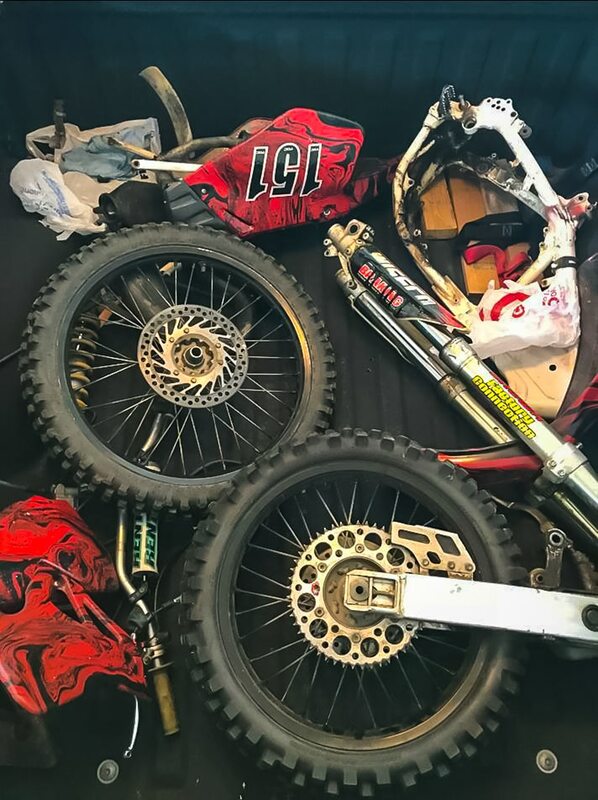 When I purchased the bike it had been completely disassembled and was also missing the engine. A few phone calls later I had an engine ordered and the build was on. The frame and hubs were sent to Curry Custom Coatings to be sandblasted and powder coated, and all other metal components were sent to KE3 Restoration to be Vapor Blasted before being assembled. 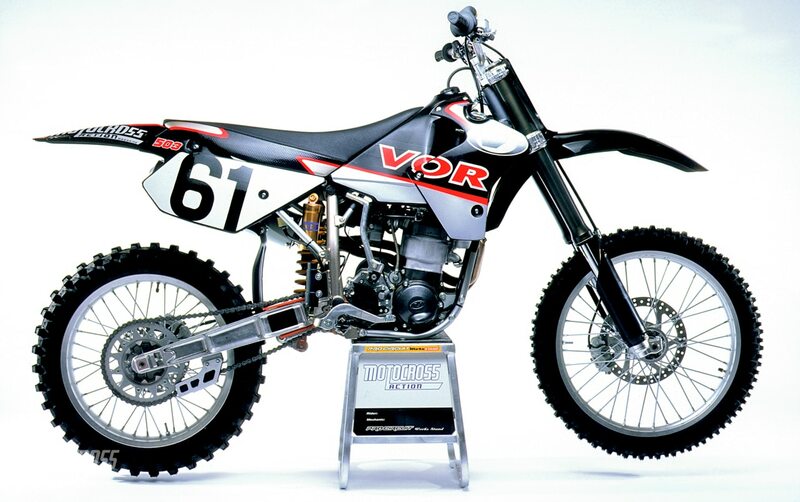 Unbounded Designs was able to create the custom graphics from a couple of pictures I found out of an old MXA mag. I think the before and after pictures speak for themselves. This build would not have been possible without the help from some amazing companies. 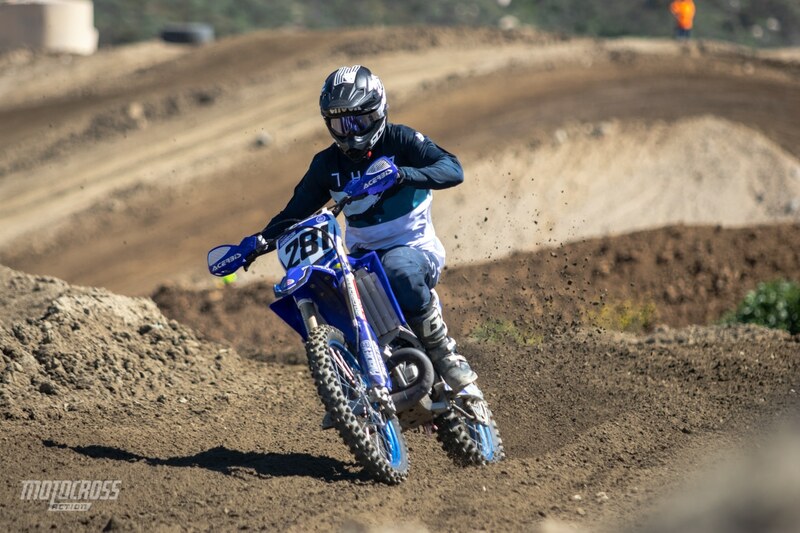 ODI Grips invited us out to Fox Raceway last Saturday for their Emig Pro Ride Day to celebrate the release of their new Emig Pro V2 Lock-On Grips. It was a normal public ride day with benefits. 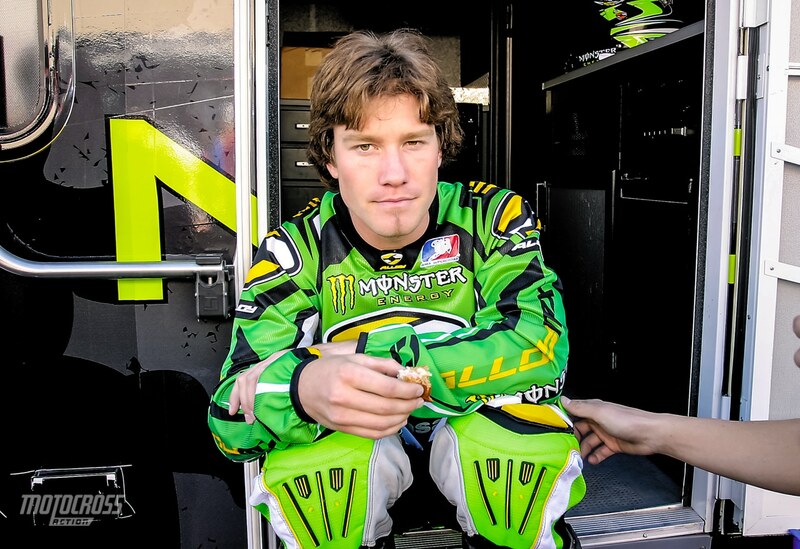 Because 47 is Jeff’s number, ODI gave a free pair of the new grips to the first 47 riders that showed up to the track. They also gave $10 off coupons to the first 247 riders who pulled in the gate. 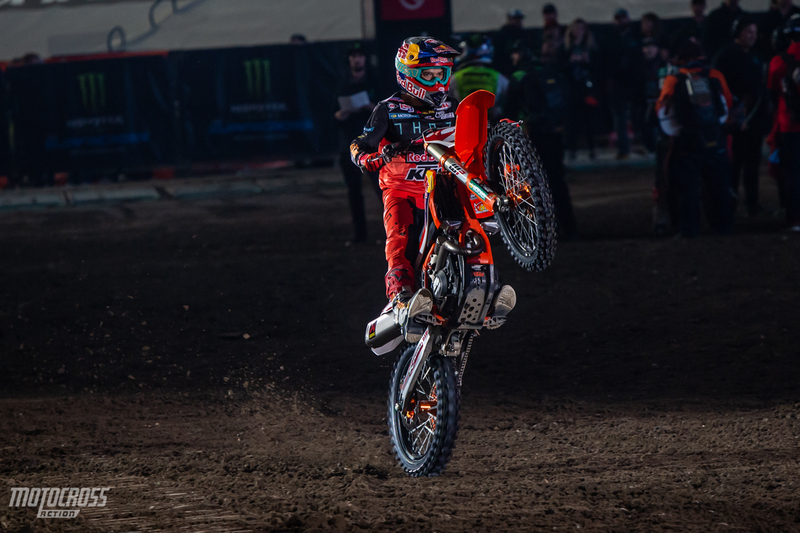 We sent our Assistant Editor Josh Mosiman out to Fox Raceway to spin some laps with the ODI crew and try out the new grips. They fed him lunch and put some fresh grips on our 2019 YZ250F. So far Josh likes them. 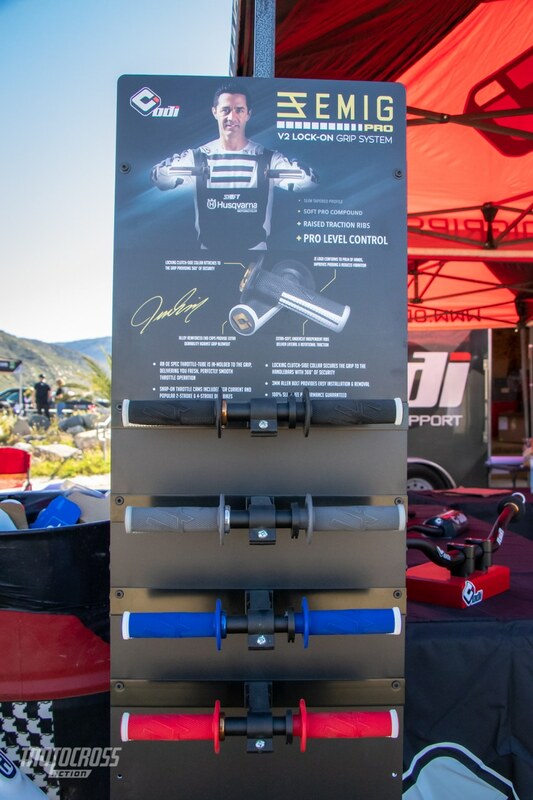 We’re going to continue to put some time in on the new Emig Pro V2 lock-on grips. Look for a full test of the new grips in an upcoming issue of the magazine. 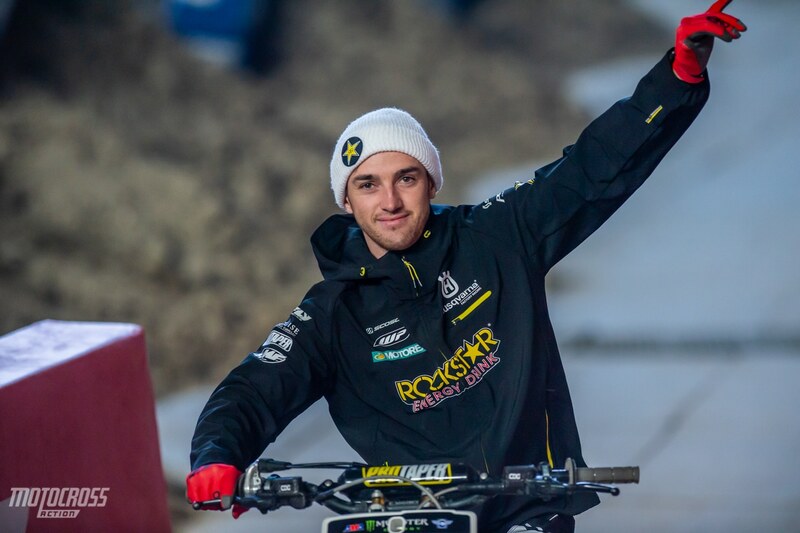 Charlie Harrison #281 is a professional World Cup Downhill Mountain bike racer and he rides for the Trek Factory Racing team. 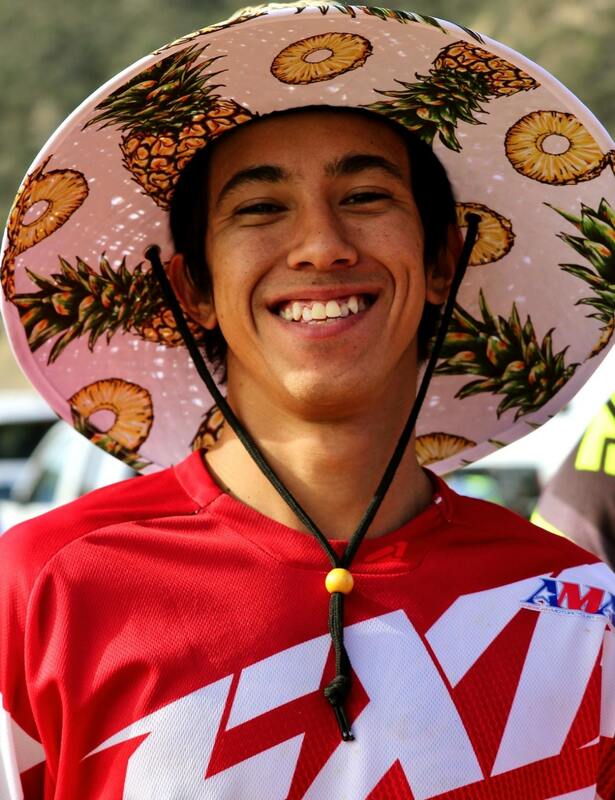 Like many top mountain bike racers, Charlie is also fast on his Yamaha YZ250. 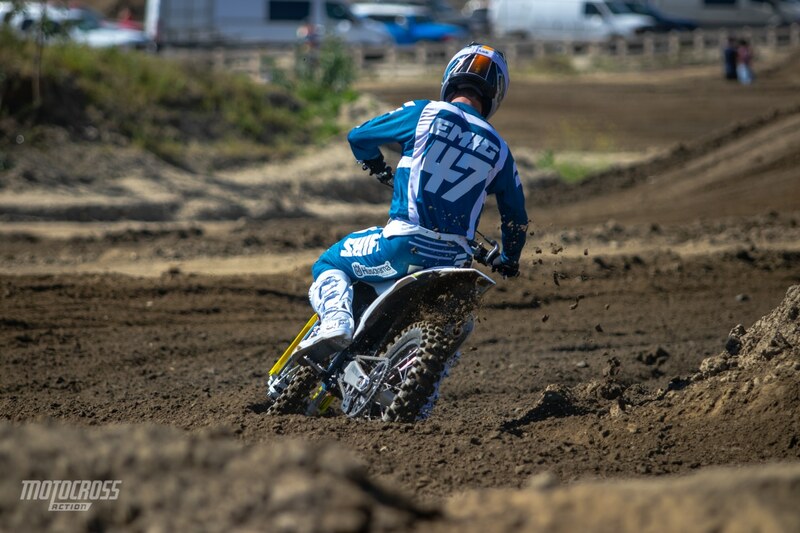 Jeff Emig was at the track all day and he put some laps in on his Husqvarna TC125. 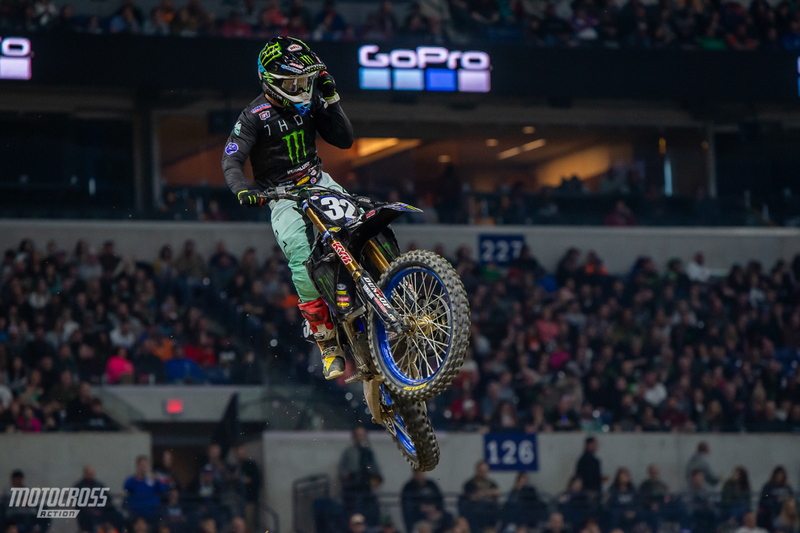 After watching his friend Jeff Northrop send it off of the big single over table-top, Emig went for it too. 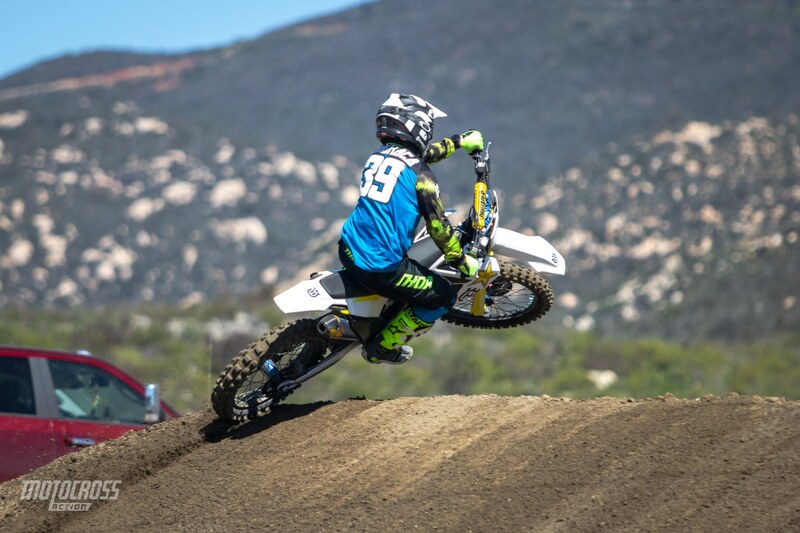 Former Supercross and motocross racer Jeff Northrop, nicknamed “Norcal” was enjoying the big jumps that the new track at Fox raceway has to offer. Jeff now works for WPS as their Fly Sales manager. 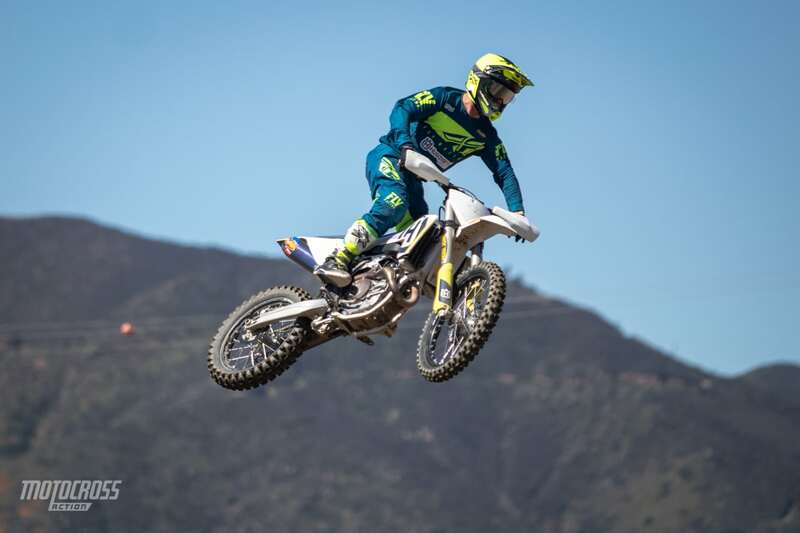 Husqvarna’s media specialist Anthony Da Graca was throwing down some scrubs on Saturday, proving that media guys can have style on the track too. 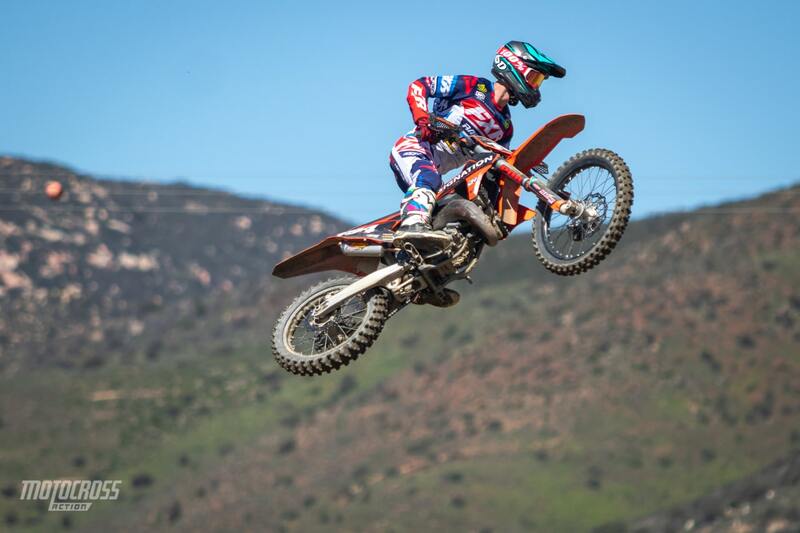 Current Supercross racer and MXA test rider, Jerry Robin was sending it on his KTM 125. He looked like he was having a blast. Press Release: Millennium Technologies has new M-Spec Cylinder and Cylinder Kits in stock! For over 20 years, Millennium Technologies has been the leader in servicing OEM cylinders with our proprietary Nickel Silicon Carbide Plating process and associated repair and overbore cylinder services. 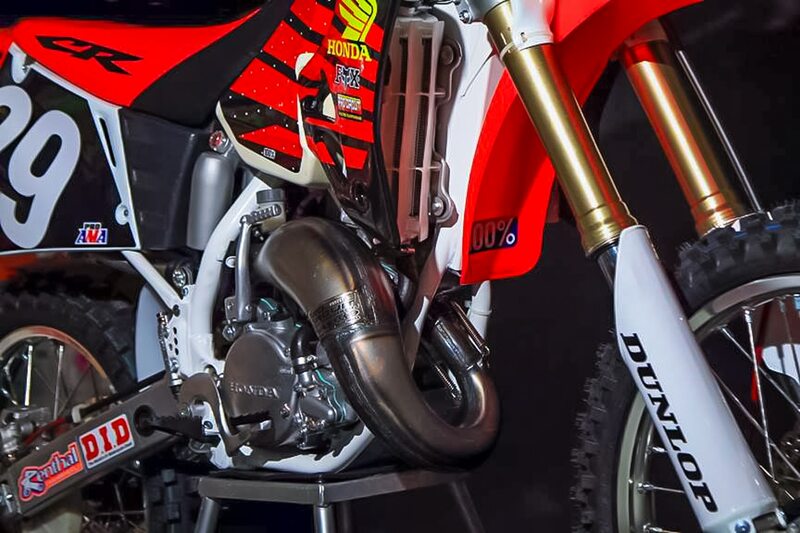 Now we can offer our customers and dealers a new cylinder option for most popular Off-Road, MX, ATV, and UTV applications. The new M-Spec Cylinders are available as standard bore OEM replacement cylinder or as a cylinder kit. The cylinder kits are available in standard bore and big bore sizes. 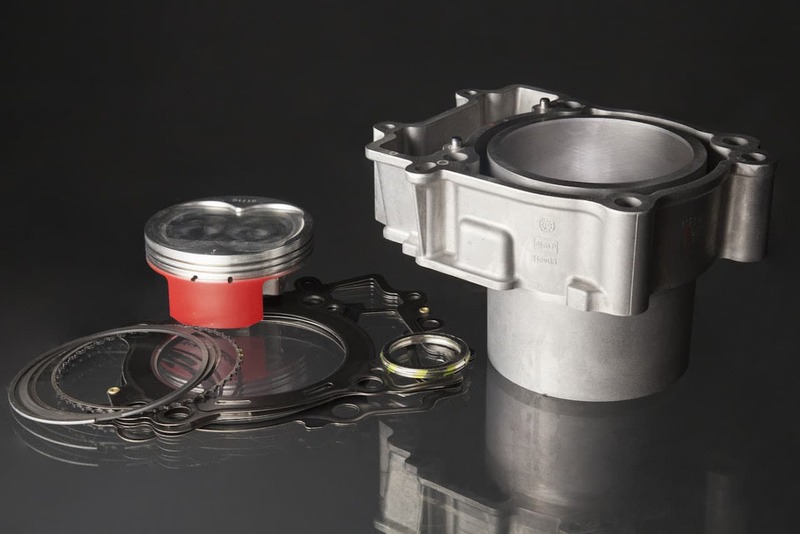 Each kit comes with a perfectly matched, high performance forged piston kit and gasket kit. Custom kits, Service Kits based on your OEM Cylinder, Remanufactured Cylinders, and M-Spec CNC Head Porting and Cylinder Head Services are also available. New Cylinders and Cylinder Kits are available for many models. Click here to see if they make one for your bike. » Gives your bike the modern Factory Racing Works look. » Precision machined from billet T-6 aircraft quality aluminum to aerospace tolerances. » Super-tough, proprietary hard coat for extreme boot-wear resistance and scratch proof surface durability. 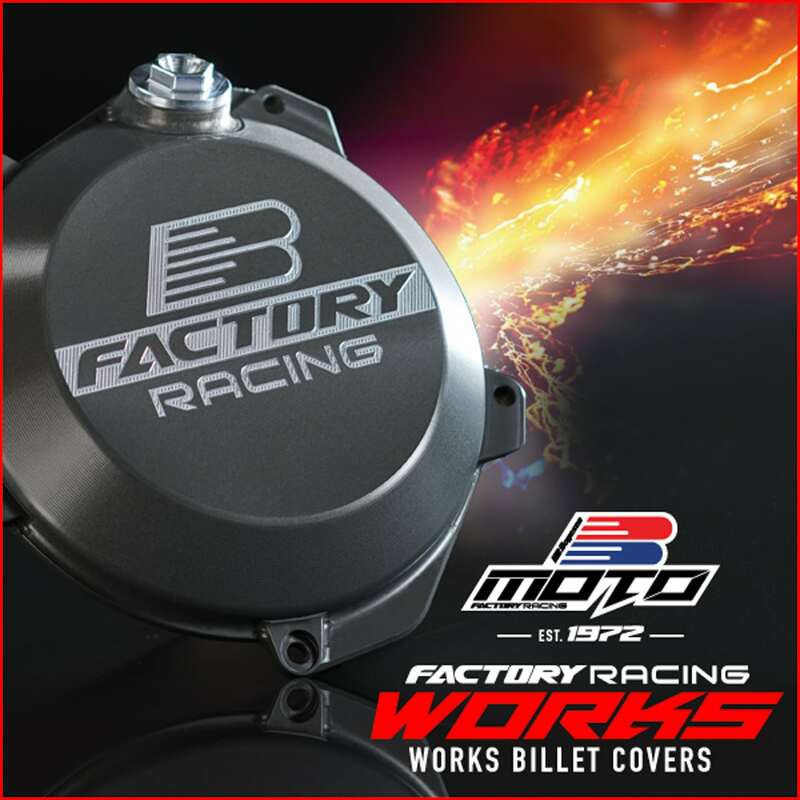 The manufacturer’s suggested retail price of Boyesen’s new WORKS BILLET Factory Racing Clutch Covers starts at $189.95 (USD). 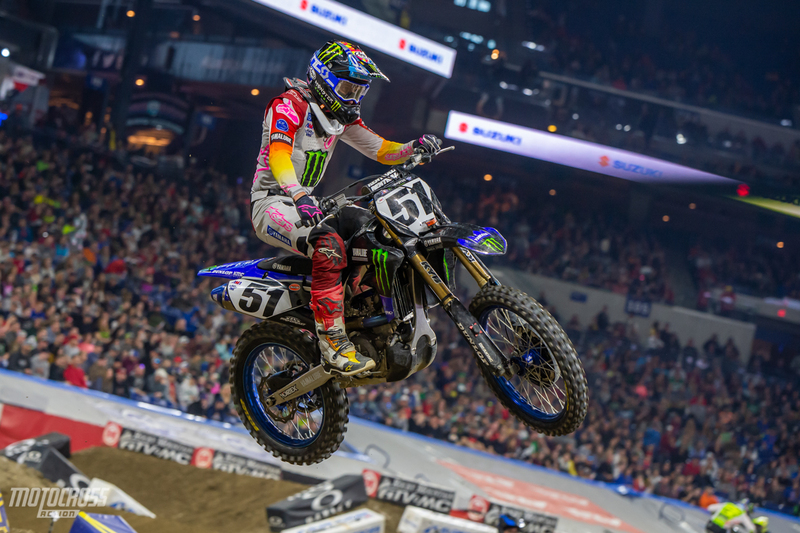 Justin Cooper: “It was a hard fight all night, honestly. I had to work for the heat win and then main event time, I got a really good start and was just leaning in to the inside and everyone came in and kind of pushed me wide. I had to go off the track and it put me way back. Honestly, it was a pretty crappy feeling going around the first lap in 19th; looking over and seeing those guys already two straightaways ahead. I knew I had a lot of work ahead of me, so I just put my head down and made some quick passes. 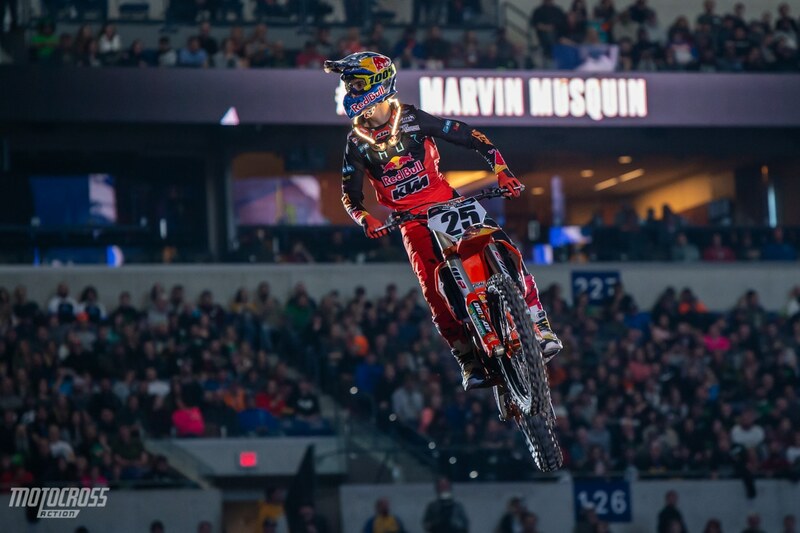 If you subscribed to Motocross Action, you would have already got the March 2019 issue of MXA in your mailbox, computer or iPhone by now. 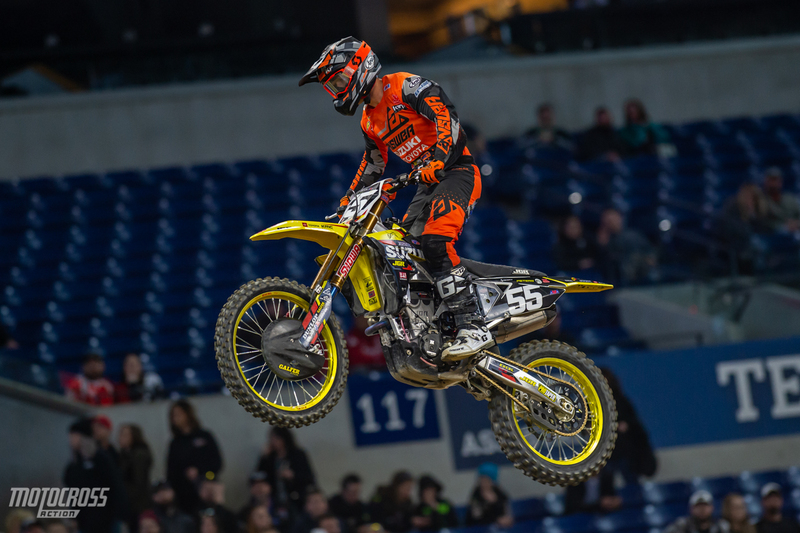 There is no doubt that the stock suspension set-up on the 2019 Suzuki RM-Z450 is way to stiff for the typical 250 riacer. It comes stock with 0.49 kg/mm fork springs and a 5.5 kg/mm shock spring. We set the clickers to a neutral setting and started from there. We set the fork compression at 12 clicks out and the rebound at 12 clicks out. As we expected on the first ride out the forks felt harsh. We backed out the compress to 14 clicks and that helped. 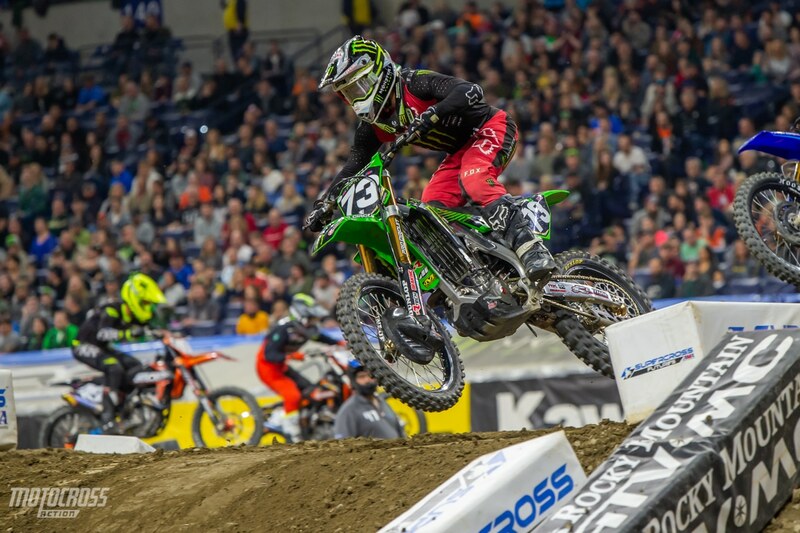 With the compression set at 14 we got a plusher feel while still getting the hold up that we were looking for on the big jumps. 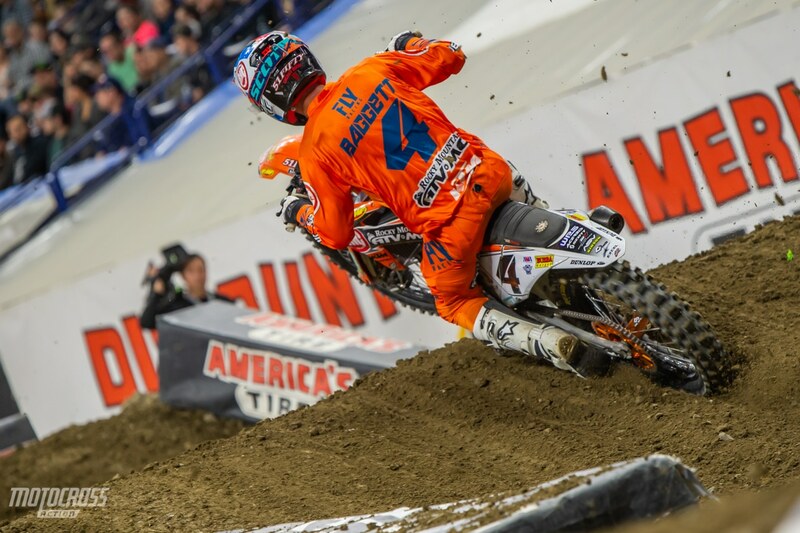 On the next session out there was a lot more ruts on the entrance all the way to the exit of the corners. On the entrance the forks felt busy and we couldn’t get the comfort we were looking for to properly set up for the corner, so we went slower (clockwise) on the rebound 2 clicks which put us at 10 clicks out. 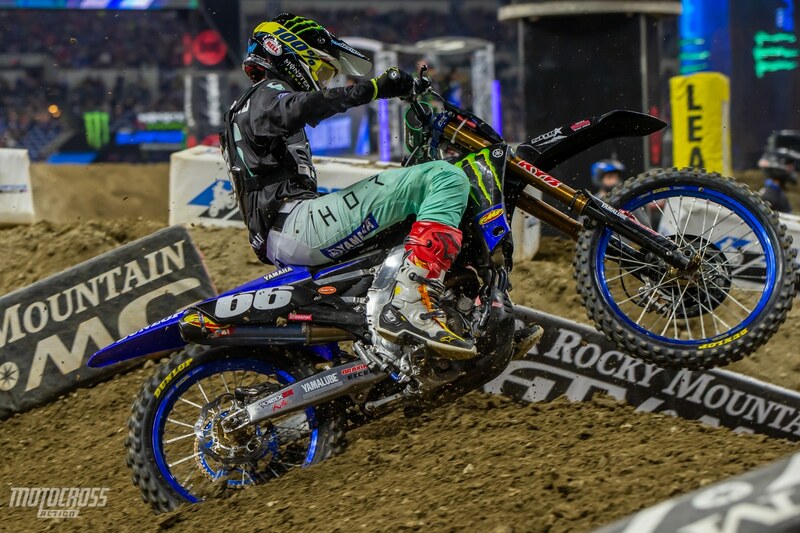 That helped a lot and settled the front end down, we went one more click for good measure and that was our sweet spot for the way the track was at Pala Raceway. 14 clicks out on the compression and 9 clicks out on rebound. Brian Medeiros griming from ear to ear. 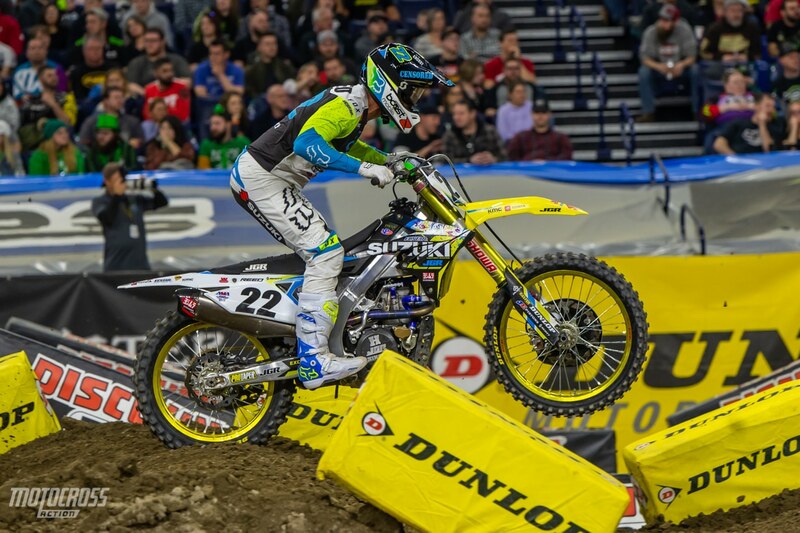 In 2018 Suzuki introduced the BFRC shock. 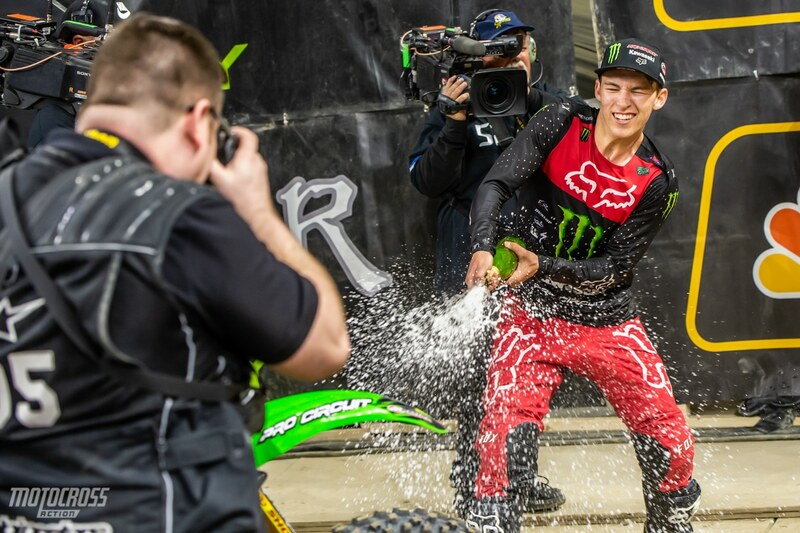 In 2019 they updated the setting on the BFRC shock which made it a lot more rideable than the previous year. We were able to get 102mm of sag out of the shock with the stock shock spring without it being completely loose. The compression adjusters, both high speed and low speed, are counted by turns as they don’t click, and there is no rebound adjuster on this shock. The stock setting on the adjusters are 1 turn out on both. We ended up at 4 turns out on both to compensate for the heavy shock spring (for my 135 weight) at 4 turns out it settled the rear end down and made it easier to enter the corners sitting and leaned over sooner. 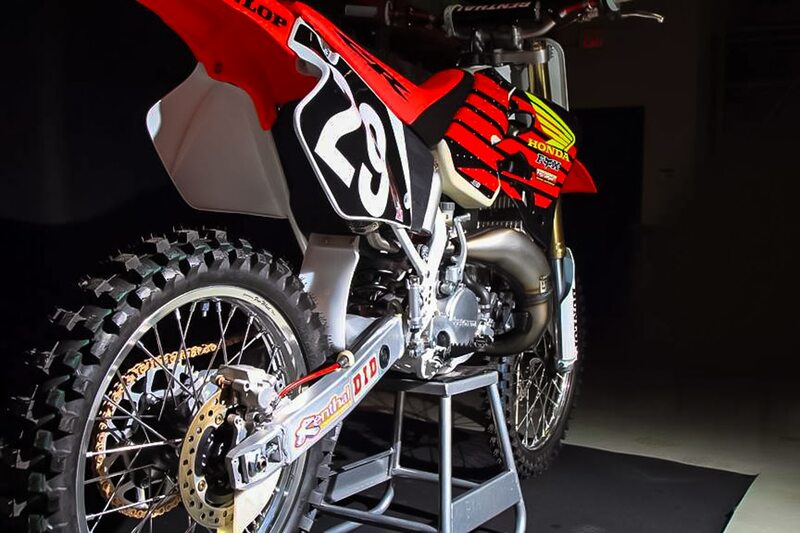 We are excited to spend more time on the 2019 RM-Z450 and see what we can do to make this bike better for lighter riders. 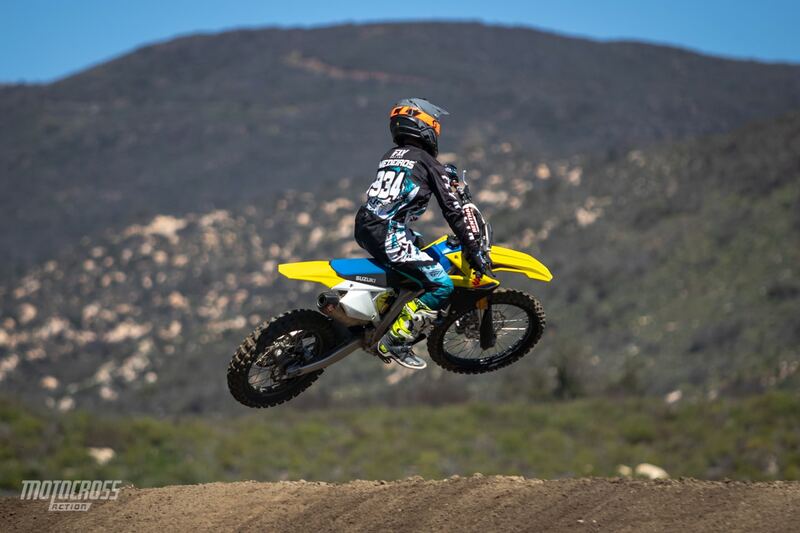 For the full MXA 2019 Suzuki RM-Z450 test click here. 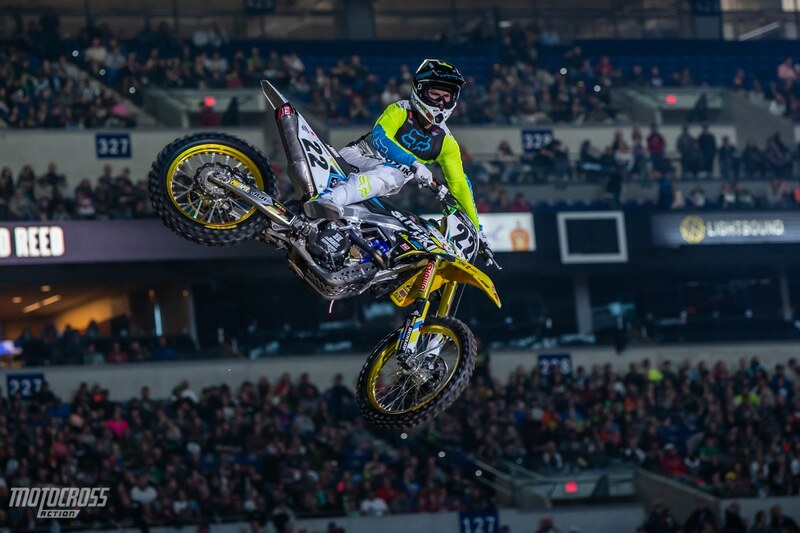 Ricky Carmichael back in 2005 during the Anaheim 1 Supercross mud race. 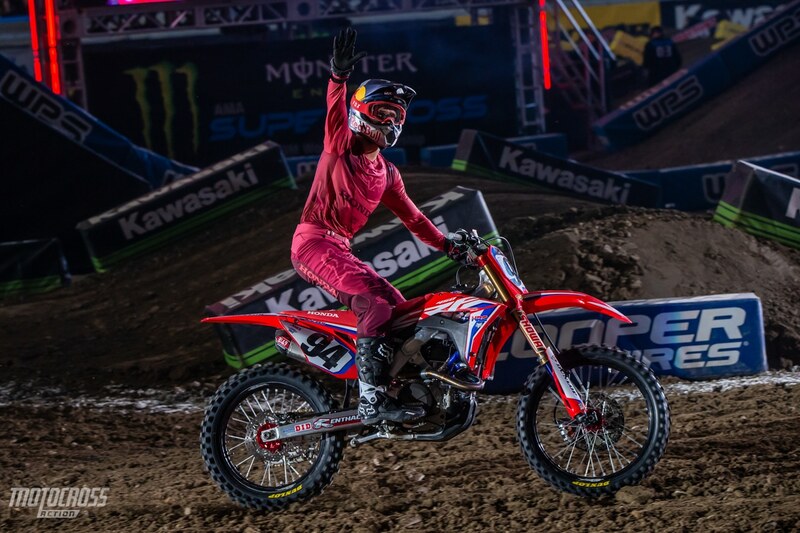 Ricky finished 3rd and Kevin Windham won. 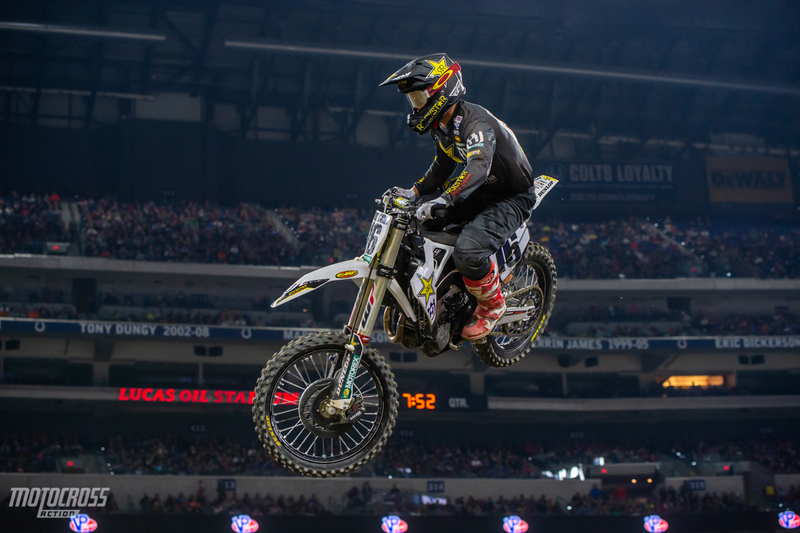 Moto Trivia answer: Sean Hamblin .